Each year, the Walt Disney World® Resort adds seasonal entertainment to their lineup to entertain and spread the holiday cheer. Since 2009, Joyful! 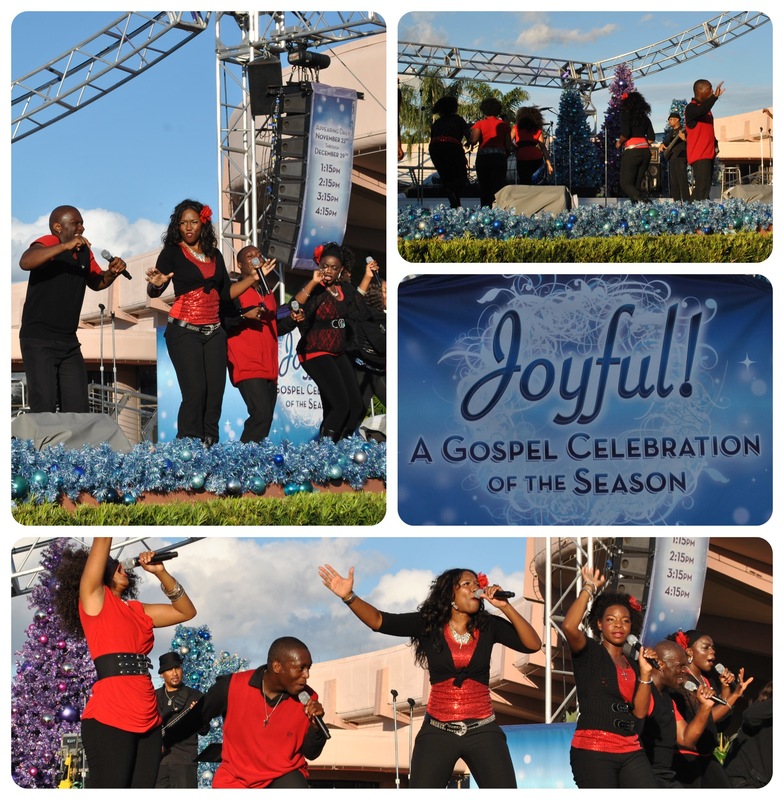 A Gospel Celebration of the Season has performed on Epcot’s® Future World Fountain Stage. Their performance blends the soul of Gospel and Inspirational Music with Jazz, R&B, and Urban Music. Their songs and voices are as just as unique as they are beautiful. Their performances will continue through Dec. 29. Have a great Christmas Eve with those you love. Over this Thanksgiving weekend, many of you have likely started the transformation of your homes to make them “merry and bright” for the holiday season. While decorating can seem like quite the undertaking, it is nothing compared to the conversion Walt Disney World® Resort Cast Members complete on the Magic Kingdom® Park. 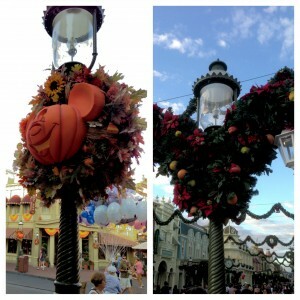 After months of planning, an autumn Main Street, U.S.A.® turns into a Christmas wonderland in just hours! While the day after Thanksgiving is a day of shopping to many in the United States, at the Walt Disney World® Resort in Florida it is the official kickoff to the Holiday Season! Today was the beginning of Epcot’s® Holidays Around the World and tonight they will hold their first Candlelight Processional. During Holidays Around the World, special storytellers from the respective World Showcase pavilions share traditions and lore from their homeland along with other live entertainment. But no Yuletide tradition would be complete without a meet and greet with Santa and Mrs. Claus. Guests will end their night with a special seasonal finale to IllumiNations: Reflections of Earth. 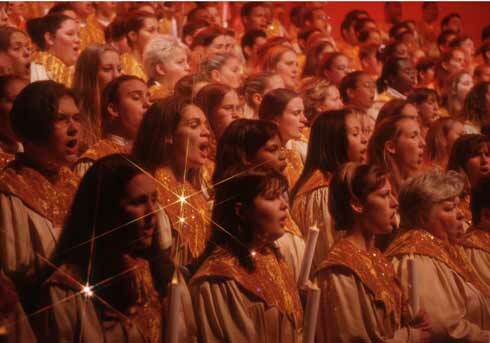 Epcot’s® Candlelight Processional is a timeless holiday offering that pairs the reading of the Christmas story by a celebrity narrator with seasonal music performed by a mass choir and 50-piece live orchestra. 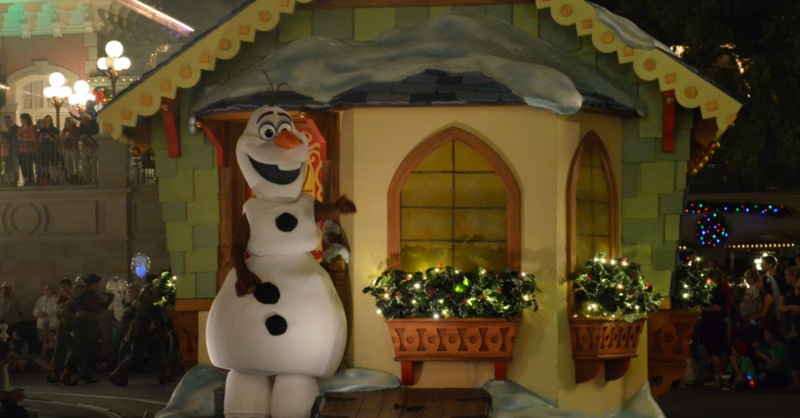 Performed three times daily (5p, 6:45p, and 8:15p), the show is a guest favorite that is difficult to get seats for. Guests wanting to attend can purchase a Candlelight Dining Package which includes lunch or dinner at a select Epcot® restaurant, guaranteed seating for the Candlelight Processional, and VIP viewing of IllumiNations: Reflections of Earth. Narrators are subject to change without notice. While many of us are trying to focus our attention on the Thanksgiving holiday just a couple days away, Mickey and his pals have already started celebrating Christmas! Mickey’s Very Merry Christmas Party is held on select nights through Dec. 21 inside the Magic Kingdom® Park. The party features several exclusive entertainment options like Mickey’s Once Upon a Christmastime Parade, the Celebrate the Season show at Cinderella Castle, and the Holiday Wishes – Celebrate the Spirit of the Season nighttime fireworks show. Guests attending this year’s party will experience two new entertainment options. Club Tinsel will give the existing Disney character dance party over in Cosmic Ray’s Starlight Cafe a new look. Also, the Kringle Crew will be entertaining the crowd on Main Street, U.S.A.® just before both parade times by teaching dance moves like the Candy Cane Twist and the Santa Shake. Remaining party dates include Nov. 25, 27, 29, 30, Dec. 2, 4, 6, 7, 9, 11, 13, 14, 16, 18 20, and 21. The first three parties of the year sold out, so if you haven’t purchased your tickets yet, be sure to contact your Magic Maker® right away. Click the links below for a copy of this year’s party map. This Friday, the holiday season will officially start at Disney’s Hollywood Studios® when The Osborne Family Spectacle of Dancing Lights is lit for the first time this season! 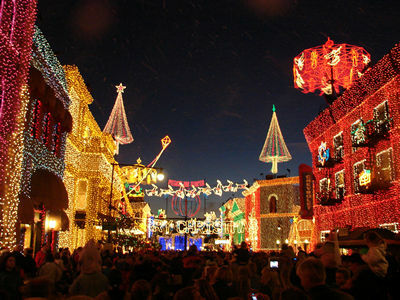 Included with standard admission to the park, the show has become a holiday tradition since 1995. The simply breathtaking seasonal display is made up of more than 5 million glittering LED Christmas lights that Disney Imagineers have perfectly synchronized to holiday music. The Walt Disney World® Resort has announced that this year, Santa Goofy will join the fun inside his very own Winter Wonderland. This area will serve as a meet and greet area during The Osborne Family Spectacle of Dancing Lights. Also added this year is an eighth song for the lights to sync to, a special arrangement of “Winter Wonderland” by Creative Entertainment Music Director Dan Stamper. If you’ve never seen The Osborne Family Spectacle of Dancing Lights, it is something that you must do! Pictures are not able to truly capture just how amazing it is. It will run Nov. 9 through Jan. 6. 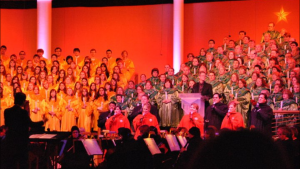 Revel in the joy of the season as you listen to an unforgettable retelling of the Christmas story by a celebrity narrator accompanied by a 50-piece orchestra and mass choir at the American Gardens Theatre in Epcot®. Guests attend these shows on a first-come, first-served basis, and due to its popularity, we highly recommend looking in to buying a Candlelight Processional dining package. Lunch and dinner packages, which include a meal and reserved seating at the show, will go on sale later this summer. Contact your Magic Maker® about reserving your Candlelight Processional Dining Package for your holiday Walt Disney World® vacation. Who are you planning to see during your vacation? It’s a magical night of special holiday entertainment including Castle Dreamlights!, an enchanting holiday parade, “Mickey’s Once Upon A Christmastime Parade,” featuring Santa Claus, a festive nighttime fireworks spectacular, Disney Character greetings, live stage shows and tasty treats on Main Street, U.S.A.®, plus the most popular Magic Kingdom® attractions! 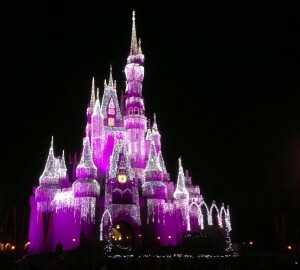 Cinderella Castle is transformed every night at the Magic Kingdom® Park during Castle Dreamlights! When Mickey and friends realize the castle isn’t decorated for the holidays, they enlist the help of Cinderella, the Prince, and even the Fairy Godmother! With all of their help, Cinderella Castle transforms into a glorious, wintry confection, twinkling in the sky! “Snow” on Main Street, U.S.A. Ticket prices start at $51.95 for kids 3-9 and at $56.95 for ages 10 and up. Tickets prices vary by party date and the date of purchase (tickets cost more if you purchase them the same day as the party). Contact your Magic Maker® for more information and to request a quote. *This is a special event which requires a separately priced event Theme Park ticket. Ticket prices are subject to change at any time without notice and are subject to availability. This special after hours event is a magical time when Disney closes the park to a select number of guests. While it is a “hard-ticket” event, meaning there is an additional cost, it is well worth the price of admission in order to be in the Magic Kingdom® Park for several hours, with low crowds, and with many special activities and events. A special parade and fireworks presentation can be viewed, hot chocolate & cookies are served complimentary throughout the event, and don’t forget, most of the rides are open. This is also a great time to catch some special stage shows and the breathtaking Cinderella Castle Dreamlights, snow on Main Street, U.S.A., as well as riding your favorite ride with a greatly reduced wait time. This event is only run on select nights, so check with your Magic Maker® for details. This theme park celebrates the season by having its many countries in the World Showcase exhibit their many unique holiday festivities, stories and wonderful food options. Also, in the America Gardens Theatre, you have the option of listening to guest narrators, a mass choir, and a full orchestra as they present the Candlelight Processional. This is a special retelling of the Christmas story, and is a very popular event. If you wait in the “stand-by” line, you may have to wait for up to 2-3 hours for a seat on busier nights. Another option to look into is the Candlelight Dining Package. For a fixed price (based on the restaurant you choose), you are able to enjoy a wonderful meal, and you’ll get “priority seating” at the show. This cuts your wait time down quite a bit, but you’ll still want to get in the “Dinner Package” line at least 30-45 minutes before the show. Finish off your night with a special holiday rendition of IllumiNations: Reflections of Earth. Immerse yourself in the joy of the season as millions of blinking, twinkling lights “dance” to a high-energy holiday symphony at Disney’s Hollywood Studios™. See twirling carousels, sparking snowflakes, heavenly angels, majestic trees, twinkling bells, colorful wreaths and Santa with his reindeer in the most over-the-top light display anywhere! This event takes stage near the back of the park on the “Streets of America.” It is a very popular event, and can be crowded at times, however, everyone always has a good view. The “dancing” part of the show happens every few minutes so make sure you stay long enough to see the show. Also, I recommend not trying to cram Fantasmic! 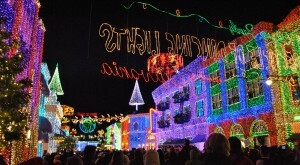 and the Osborne Family Spectacle of Dancing Lights into one evening. They are both so great that you should allow multiple nights to see them. “Mickey’s Jingle Jungle Parade” blends the spirit of Disney’s Animal Kingdom® Theme Park with the spirit of the season into a holiday offering full of jump, joy and jive! It’s a jinglin’ good time with Mickey, Minnie, Donald, Goofy, Chip ‘n Dale and the gang on parade in their holiday yuletide best. This is much like the regular parade, however, the fun changes to it for the holiday season are worth viewing. Contact your Magic Maker® to start planning or click below to request a quote. 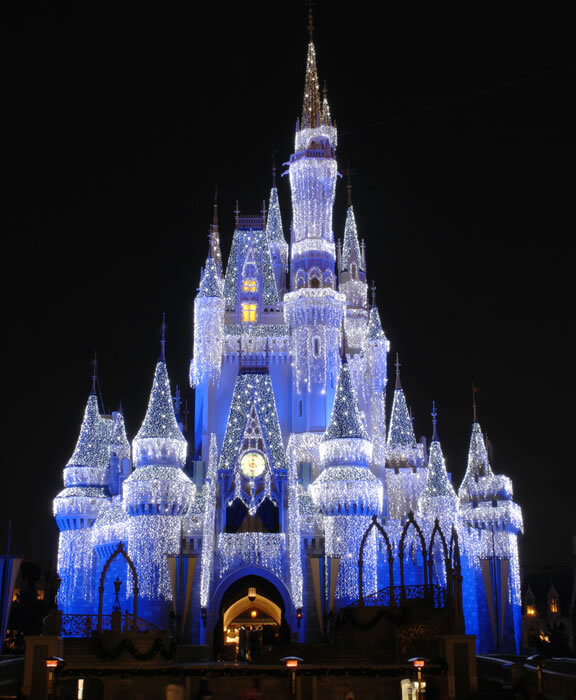 As if suddenly dusted in a million ice crystals, Cinderella Castle at the Magic Kingdom® Park in Orlando, Florida, and Sleeping Beauty Castle at the Disneyland® Park in Anaheim, California shine bright, adding to the wintertime wonderment of the holidays at the Happiest Place on Earth.